There will also be a new base in the Chukchi autonomous region. The Russian Defense Ministry is finalizing the deployment of a military base on the Arctic Island of Kotelny, a part of the Novosibirsk Islands, Russian Defense Minister Sergei Shoigu said on October 22. “We are not keeping this a secret. We have practically created a base on the Novosibirsk Islands, the Island of Kotelny. 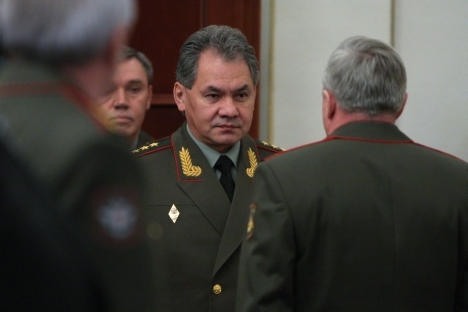 This is a big military base, a modern complex possessing everything it needs to equip those boundaries," Shoigu said at a press conference. A slightly smaller base will open on the Wrangel Island, and there will be bases on Cape Schmidt, the eastern coast of the Chukchi autonomous region and the Kurils, he said.